The Roman emperors ruled almost half of the world in their time. We consider that as great history. But lifes were worthless, slavery was needed and people were poor. The only thing they got was games and food, while their so called leaders didnt know how to spend all of their stolen money. Yes it was some 2,000 years ago, and still we visit the capitol Roma to get a glimps of this acient highlights. 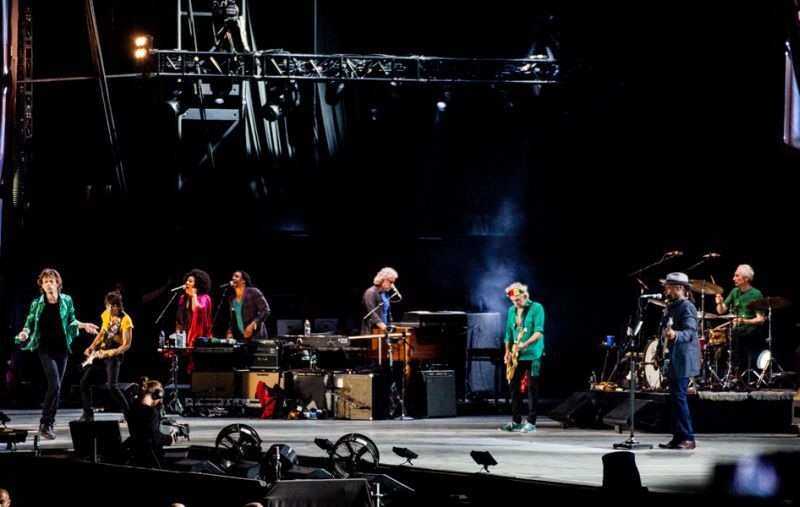 Yesterday the Rolling Stones took stage at the famous Circo Massimo and gave people what they really want: to start 'm up, to feel sympathy and to drown in satisfaction. Yesterday the Stones ruled the entire Roman empire - and beyond. What weapons did they use? Some great riffs on Rambler and Shelter and fine melodies on Lets Spend the Night Together and Streets of Love. And the rest of their magnus opera. But above all that eternal energy that makes them the biggest emperors ever. 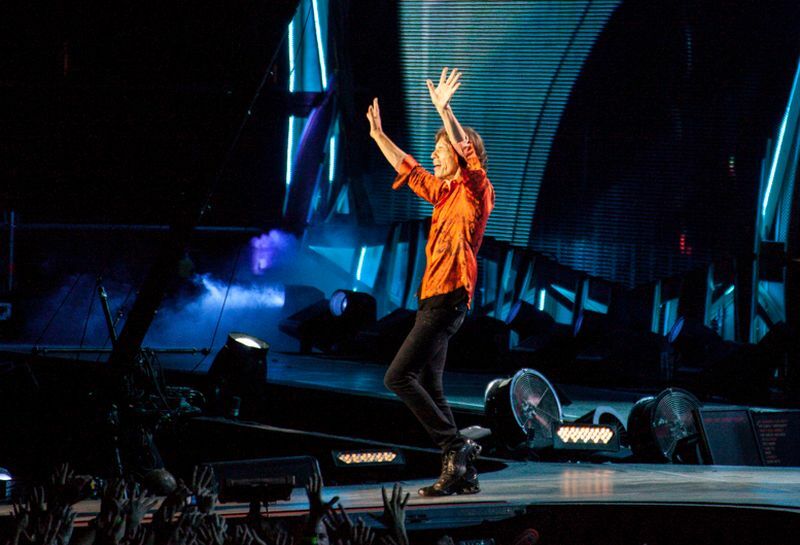 The Stones rule the world, and we like it. In 2,000 years people will still visit Rome. "This is where the Stones booked another victory." And yes we were there, as horses riding that circus, as angels singing with the gods, as volentury slaves of Jagger, Richards, Watts and Wood. In 2,000 years we will still be there - as part of history. 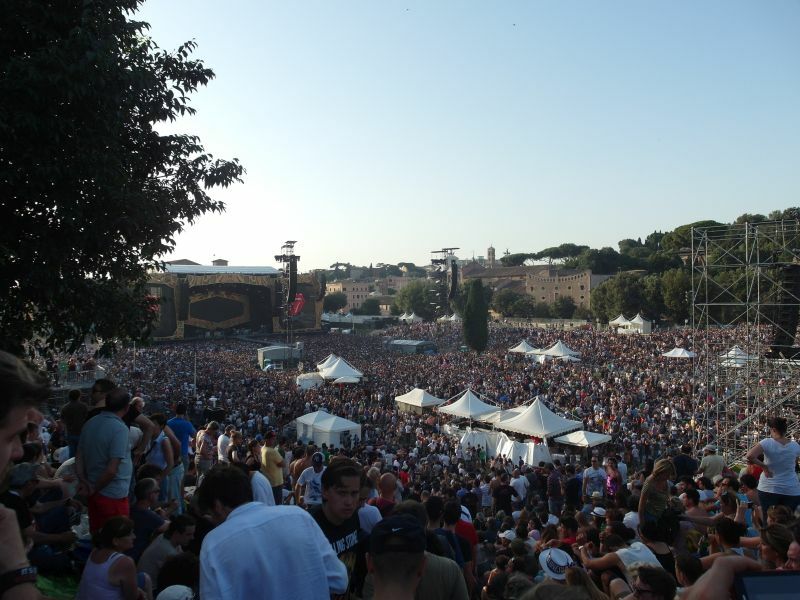 The show at Circo Massimo has been an highly anticipated one, either for the splendid location and for the rumors that spread in the days before. In fact, not only it has been said that chance was that they would play "Can't Your Me Knocking?" with Mick Taylor for the first time after the Glastonbury gig, but also Bruce Springsteen was expected to join the boys for a song, allegedly "Tumbling Dice". Moreover, the "song vote" on the Stones' website was definitely the most interesting in a while, and it listed gems such as "Loving Cup", "If You Can't Rock Me", "Sweet Virginia" and "When The Whip Comes Down". None of the above mentioned expectations has been met during the show, which by the way has been powerful and fantastically performed. The support act by John Mayer has been quite underwhelming, with all the songs stuck in the same dynamics. However, the guy can play guitar and his solos were very interesting to hear. 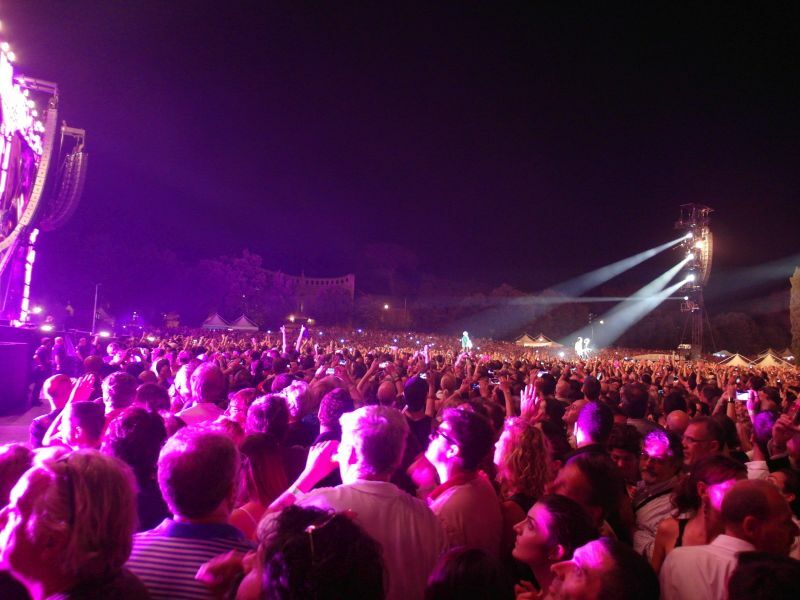 Nevertheless, everybody was just waiting for the opening act to end as soon as possible and for the Stones to show up. The Stones stepped on stage at almost 22:00 o' clock, a bit later that the original schedule. 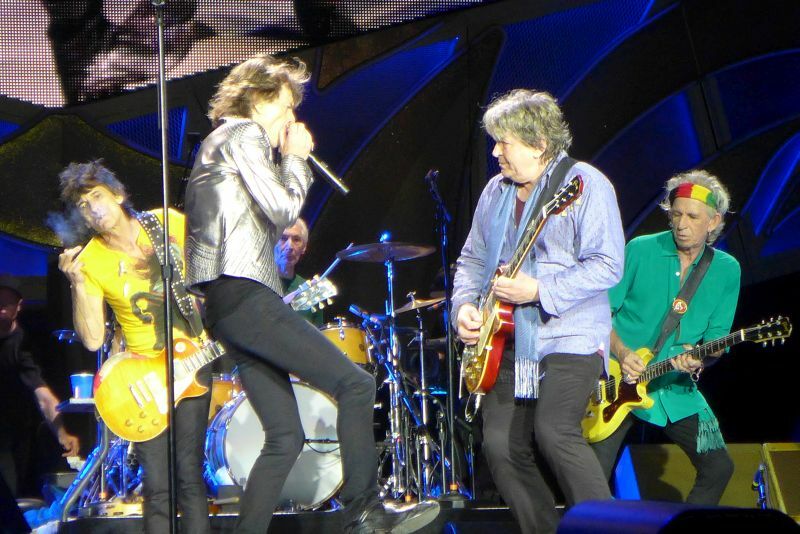 As usual, the first part of the show as been a blast, with "Jumping Jack Flash", "Let's Spend The Night Together" (with Keith and Mick almost sharing the same microphone!) and "It's Only Rock'n Roll" (featuring a fantastic solo by Keith). The band's on stage and indeed "is one of those nights"! 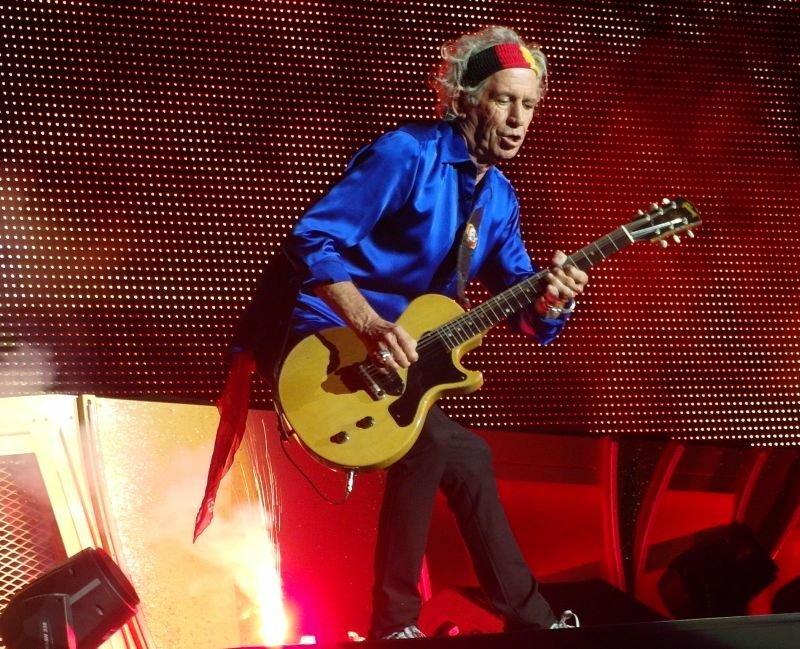 Keith Richards looked healthy, in a good mood and – what's most important – totally on fire. What a difference with their previous appearance in Rome in 2007! 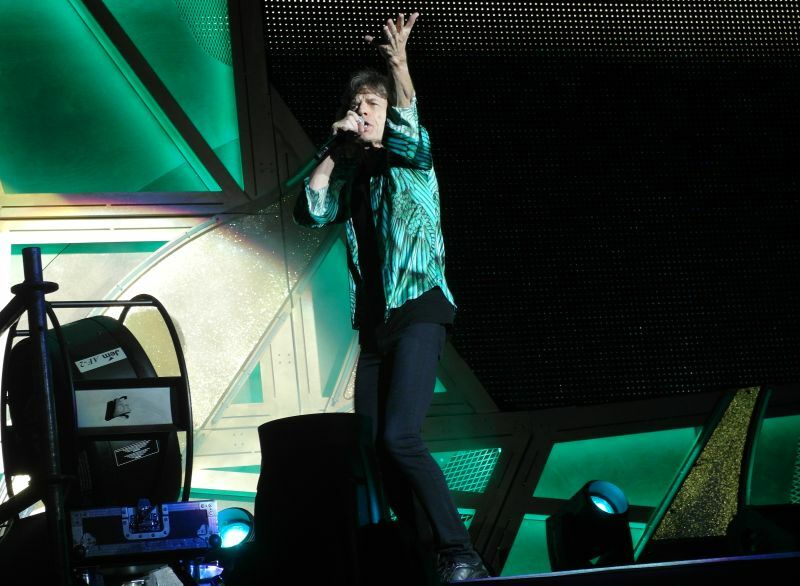 Mick Jagger was his usual, amazing self, stealing the show and sporting a terrific stage attire. "Streets Of Love" has been the real surprise of the night. I guess that they decided to dust it off for the Italian audience, because back in 2005 the song was quite a hit in Italy. Even if I still rate this song as one of their worst, I must admit that in alive setting it somehow works. What's sure is that the crowd totally loved it and sang along under Jagger's direction. Mick Taylor also played on that number but his contribution didn't make much difference. "Out Of Control" always gets an enthusiastic response from the audience, even if is not a very well – known song. It's very interesting how this latter day classic just clicks with the crowd. As predicable, the "song vote" was won by Respectable. In the first verse Mick had supposedly hearing problems with his ear monitor, and sounded a little flat (like in "2000 Light years Form Home" last year at Glastonbury), but quickly recovered. John Mayer joined for a cool solo, and also Ronnie's and Keith's solos were very good. As Mick said afterwars, "It was fun". Surprisingly, when introducing his set Keith Richards said a few sentences in Italian, and praised the "Circus Maximus" location. Keith's set was very good, and "Can't Be Seen" has been smoothly performed. 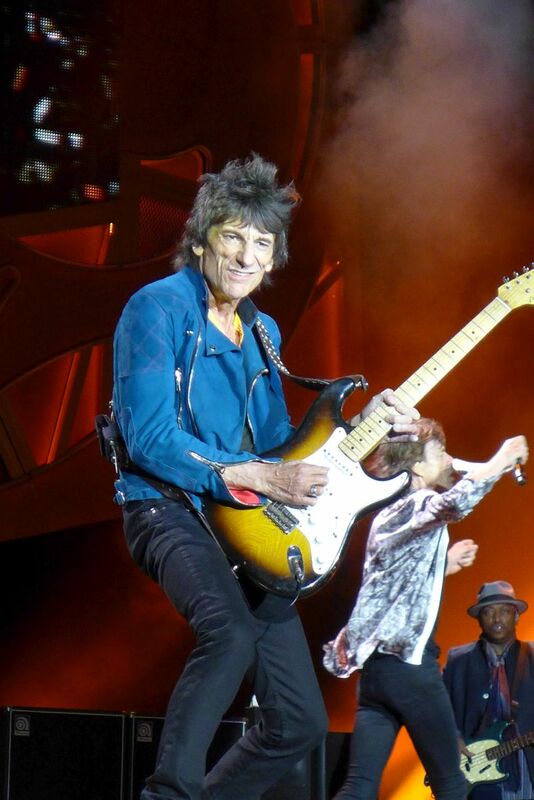 Keith didn't play a lot of guitar, except for same tasty little solos, but Ronnie Wood carried out a very good job. As usual, "Midnight Rambler" was a true highlight. Mick Jagger sported a very cool jacket and totally owned the song. I noticed that during the "don't do that" part, Mick signalled to the band to gradually lower the dynamics, but Keith decided otherwise and ended this part of the song, introducing the slow blues part that features the "Did you hear about the Boston?" line. It's really interesting to watch the live renditions of this masterpiece, because when the band's jamming there are always interesting details to discover! By "Miss You" – which was fantastic – Mick Jagger had the crowd on the palm of his hand, and he kept it until the end of the show. 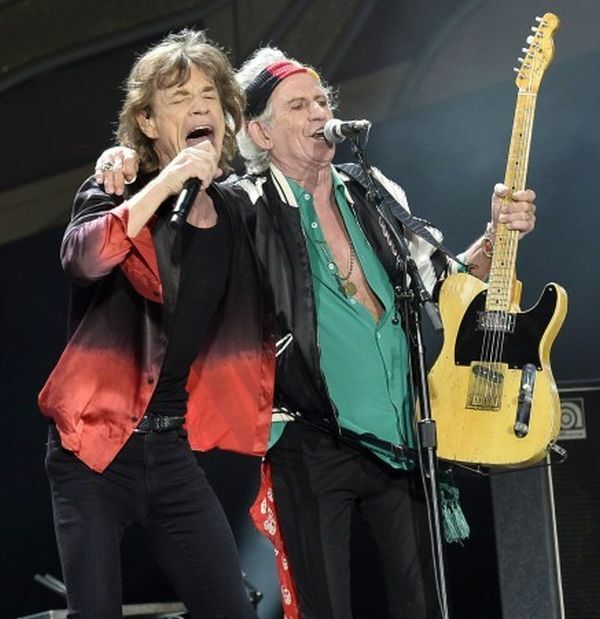 I noticed that on Jagger's guitar's strap there was a pocket containing an harmonica, so I hoped that he would play it during the song, but it didn't happen. "Gimme Shelter" was very well performed, and also Lisa was slightly better. The two guitars attack in the outro was very strong. The rendition of "Sympathy For The Devil" was the best I've witnessed in a while. 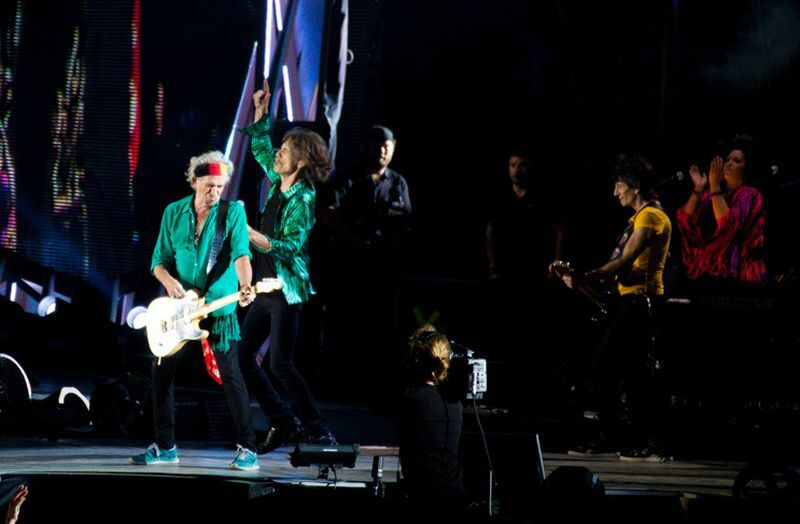 Keith Richards played two very good solos and the crowd went gaga over it. "Brown Sugar" was the only song that sounded a little messy. First, Keith Richards almost screwed up the riff (I know, that's no news indeed), and later, Mick miscued the second verse, singing it a whole chorus earlier that usual, so that the song sounded awkward for a few seconds. 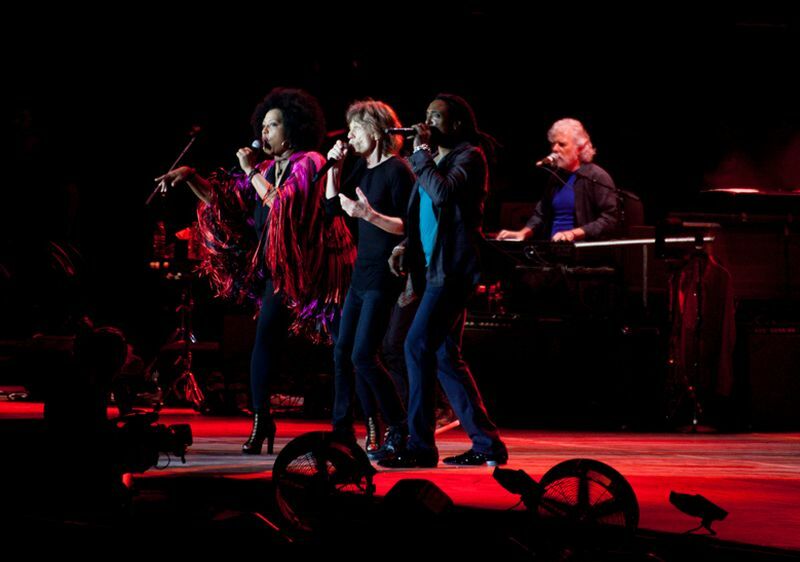 However, Jagger kept on singing, as it's the band that has to follow the singer and not vice-versa. The boys almost immediately adjusted the chord changes to the new Jagger's interpretation, and – as the great band that they are – sorted out a situation which could easily have became a disaster. Finally, both "You Can't Always get What You Want" and "Satisfaction" were wonderful, and the venue exploded during the latter. Performancewise, I'd rate this concert almost as good as the one in Paris. The boys really are keeping a very high standard this time round, and even if there are occasional flaws here and there that doesn't affect at all the energy and the effectiveness of the performance, which is light years better not only than in 2007, but also that the two Hyde park concerts I've attended last year. As there are just a bunch of shows left in this tour, I'd definitely advise anyone who's still in doubt as whether to attend or not to take the chance right away. You won't regret it. Hot days in Rome, more than 30 C for sure, but cooler in the evenings. I came here from Dusseldorf, and as we crossed the alps, the temperature and weather changed from cooler and a bit unstable into blue sky +30 C or more daytime and may be +20 C or so in the nights. The temperature is of course important of you travel, but if you are from Rome and Italy you know how to handle the heat. The guys pull of their shirts and the girls dress minimalistic, which is fine with me. 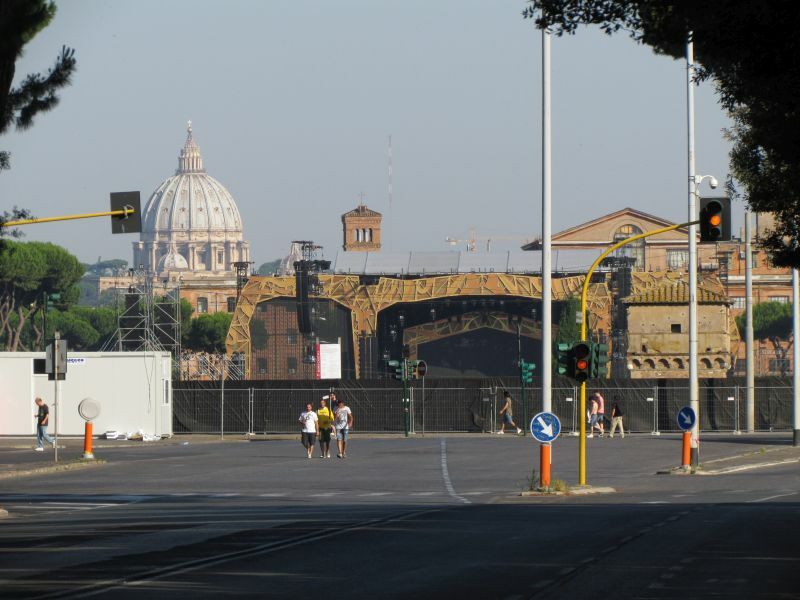 I walked from my Termini area hotel to Circo Massimo in half an hour. 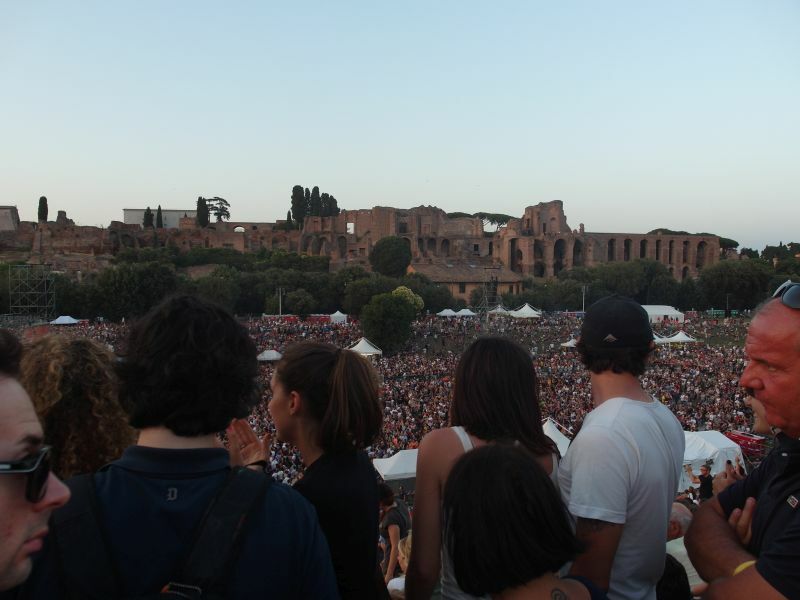 Circo Massimo is a great natural venue with slopes on both sides, used in the old Roman age for horse races. I passed by a number of famous churches, the eternal massive Colloseo stadium - the Stones might have played the Colloseo if they lived in the Roman Empire age may be - and Forum Romanum, the old age historic Roman remainings. 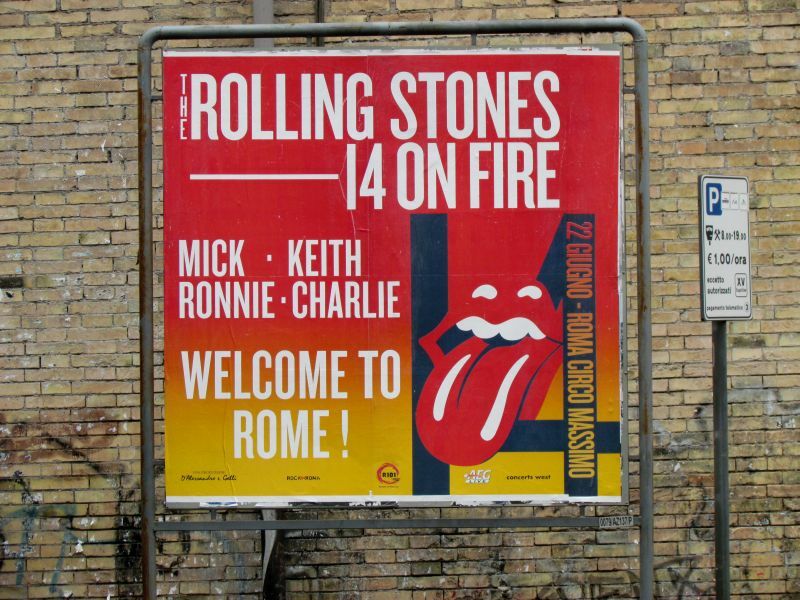 When you are in Rome you feel like you are in a large museum, and the Rolling Stones had placed their show tonight right in the center of the old age Roman Empire. There were people all over. 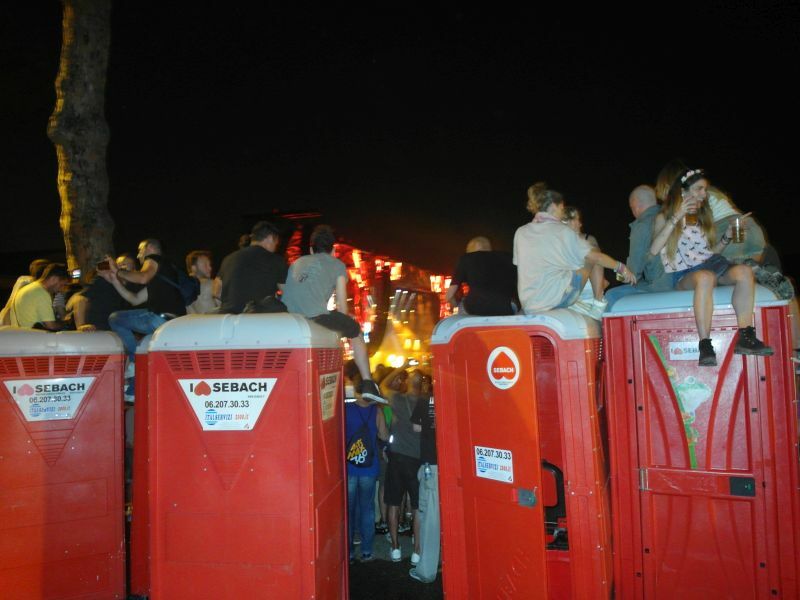 It was a large area, and thousands had positions where it was more important to just be there and have fun and drinks, quite remote, with no view, simply inside the fences. Security was relaxed, nobody checked for cameras or anything in my small bag. Once inside, I worked on finding out about the venue. The PIT was pretty full already, I settled with an elevated ramp on Keith side. But when the show started, I spend JJF speeding back around the packed crowd and back into the pit Ronnie side, it was a fast "round the crowd" race, I was glad I had checked out the venue before the show started, so I knew where it was packed, and where I could move. "Streets Of Love" was the special of the night. It was very popular in the pit, and they were singing along. In fact everybody was singing, or "humming" to the song. I was on the far Lisa&samp;Bernard side, and as the crowd was singing so loud I could see Lisa was a big smile, that is the smile a performer is having when they feel the crowd is so into their hands. And after "Streets Of Love", the crowd started singing "Rolling Stone!" - "Rolling Stone!" - "Rolling Stone!" ... With the River Plate Buenos Aires feel. But that happened only after that song... With Mick Taylor as guest on this song, we had Mick Taylor on stage for three songs tonight. Then "Doom & Gloom to speed up the tempo, and then "Respectable" with "John Mayer" as guest. He had a long warm-up set from 8:00pm to 9:10pm just before the Stones tonight, so I was not that keen on more John Mayer, but his performance up front with Mick, Keith and Ronnie was fine still. 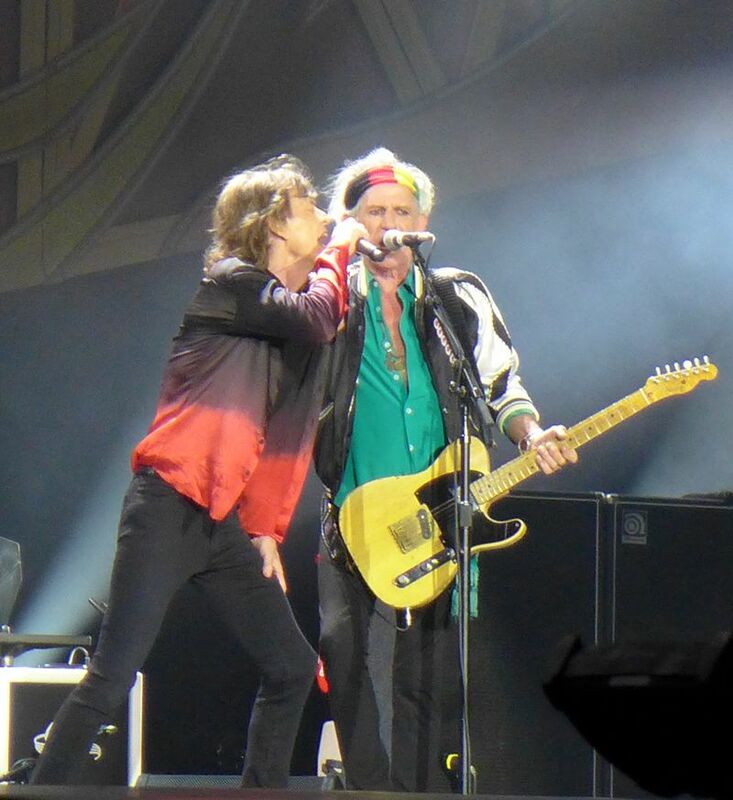 My Italian is not very good, but during the presentations Mick said something like "a la batteria... Charlie Roberto Watts ... Then it was time for Keith. The rest of the show was great as always. Lots of people moving in and out of the pit, and after "Brown Sugar" I speeded out and into the big crowd on a remote spot in two minutes. I made it to the rear part where I saw all the extra screens and the stage like a small dot, and the Stones on stage hardly seen at all behind all the screens. I was among the ones who had space and could lie down and rest in the grass. The sound was great still. I could see everything I needed to see on the many screens, and Satisfaction was so powerful even back at this spot. It was great to enjoy the show from the distance. And, as this historic Roman Stones show ended, I was out by midnight, as the final bow ended 00:02, and I was back at my favorite bar & restaurant for pizza and beer 25 minutes later. Great show in a great city! Some 45 years after the Stones toyed with staging their Rock and Roll Circus at the Roman Colosseum, they played a wee gig down the road at the Circus Maximus for fans in various stages of delirium. Without thinking too deeply, I'd say this ancient landmark is the most interesting venue they have ever played. You could almost imagine the scene a few thousand years ago when people occupied the same spots to watch Charlton Heston. Rome was probably run more efficiently back then, though. Julius Caesar would have executed the officials who decided not to keep the trains running past midnight. But I digress. Is this how Mick thinks when he creates a set list? "OK, let's do something different. She Said Yeah? Nah. Can't You Hear Me Knocking? Nah. I know! Streets of Love." But Mick, this song was on the wish list of absolutely no one. And it's a lame ballad that sent people to the beer lines on the Bigger Bang tour. No "Rough Justice" or "It Won't Take Long"? Adding to the weirdness, the underutilized Mick Taylor was allowed to play. But I'm not sure what he brought to the package. Well, the Italians appeared to like it. These gooey ballads seem to work on emotional people. I guess it made the cut because of the "Rubicon" reference. And "You Got the Silver" also has an Italy connection, by the way, since it was used in Michelangelo Antonioni's "Zabriskie Point." I strongly doubt "Respectable" got the most Internet votes. 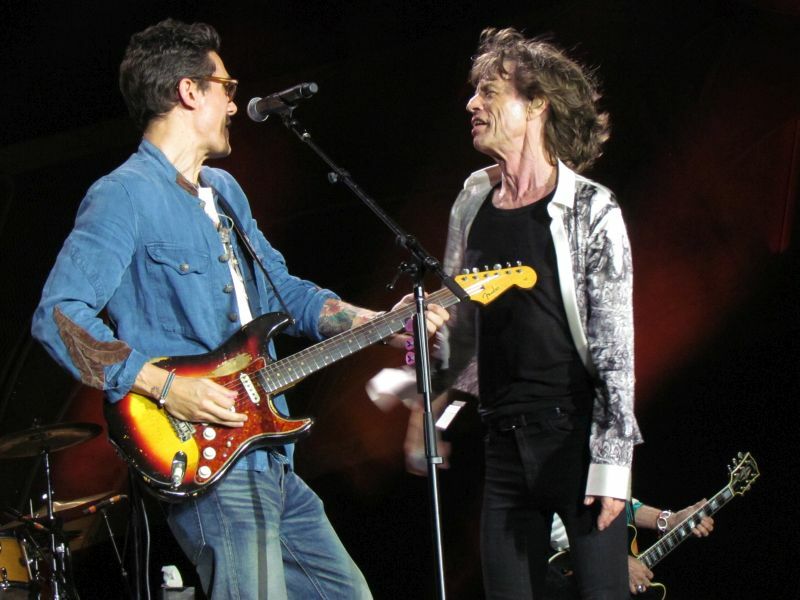 It's a good song for a guest guitarist, and unfortunately the Stones had their worst ever opening act, the incredibly boring, "easy-listening" pop pinup John Mayer waiting in the wings. He tortured us with an hour-plus opening set, and then he returned for a rusty rendition of the old nugget. It's a pity the Stones couldn't use a local hero like Ligabue or Niro or Elisa on something more fun. Apart from all this, it was a great show, helped by glimpses of Anita Pallenberg, all of Keith's kids, and even Jo Wood. Mick and Keith were both in chatty moods, and Charlie got a kick when Mick introduced him as "Charlie ROBERTO Watts." I got an epiphany right at the end, when the organizers let the young catering staff into my area. These kids whooped and hollered and sang and danced maniacally through the last few songs. For me, they became the show and the Stones were the soundtrack. It was a reminder that rock concerts are supposed to be places where you let yourself go and have a good time with friends. As a Stones microbiologist I sometimes miss the point. But the kids inspired me to rock out tonight. 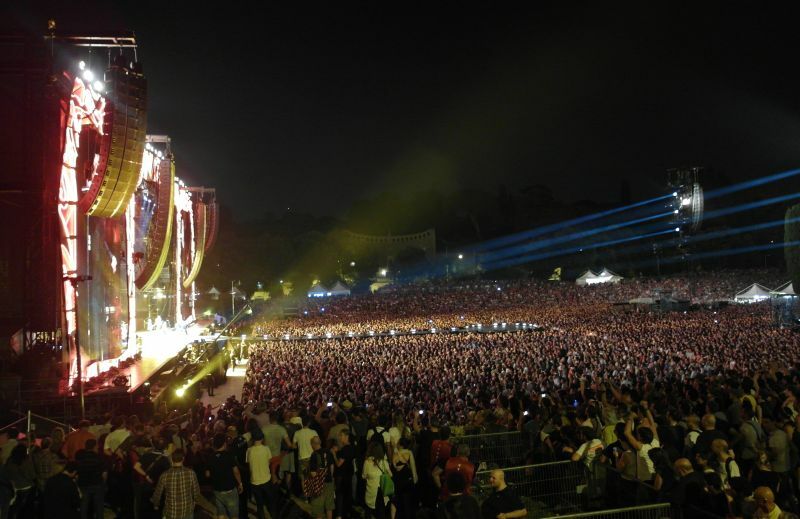 Monumental gig (after all, we were in Rome...). 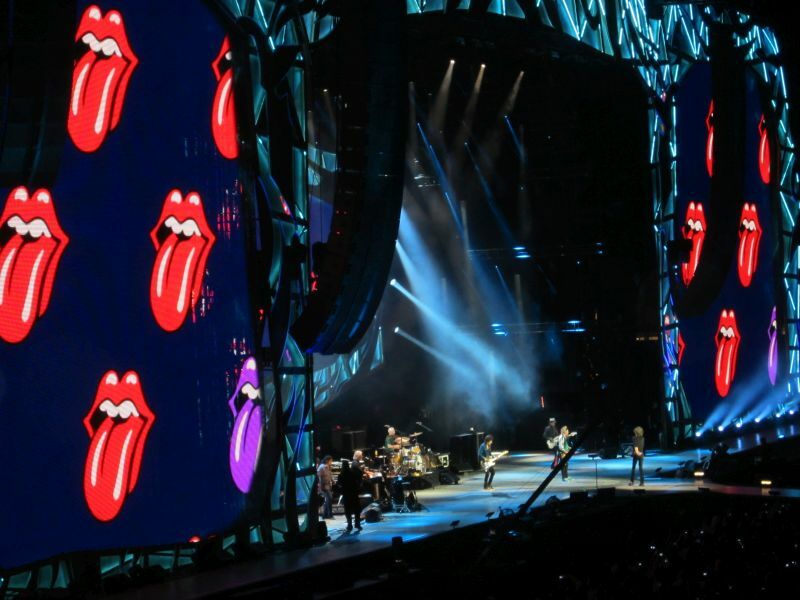 And the show himself: some technical mistakes (more than Stade de France), "Street of love" was a very good choice for the young Italian people who love and now very well this song, singing with Mick all the time. "Midnight Rambler" was for me perhaps one of the best version since the first O2, with a really great start between the 2 Mick's, a great Taylor solo (as usual) and a very long and very well handle Ronnie solo. Well, I spend 23 hours at Circo Massimo (with a very hot weather) but I'm ready to do it again for another quality show like his one. Next one Werchter saturday with my 2 daughters (who was also at the Stade de France) and my wife. I departed from Bilbao on the same day at eight o'clock in the morning; an hour later, got to Barcelona and about 15:30 taking land in Ciampino airport. From the sky over Rome, you can see the whole city, and clearly picked out Colisseum and Circo Massimo. 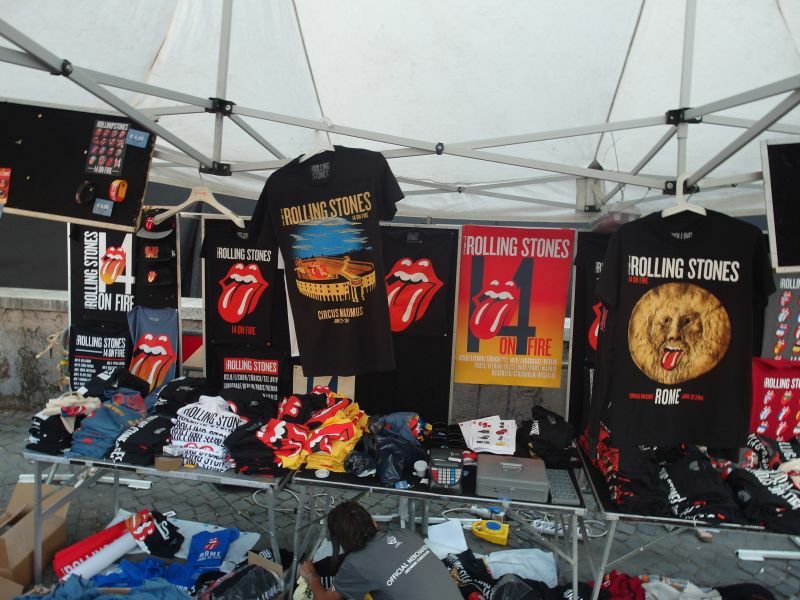 Great excitement when I saw the Stones airplane landed in Ciampino. Here we are, I said to myself. As I had LD tickets and my mate could not go, I got in touch with a good IORRean guy from Hungary, Gabor. Nice chap. Anyway, the tickets were posto in piedi or general admission, so I entered the historical venue and went towards the stage as far as I could. Not very much, indeed, almost six o'clock in the evening. Sunny day, hot, deep-felt place surronded and I could see a quite young audience, in good mood, relaxed and happy about the Stones. I chatted with people from Rome and a nice couple from Cerdenya. I also could a basque flag in the middle of the crowd. About the starter, for me John Mayer is an excellent guitar player, no doubt about it; good singer, good looking boy and had a very good taste for the rock, swing and r&b music, apart from an outstanding band. What else do you need for an opener, warm up act? I think people enjoyed it. And, as I said before, six years and ten months after, I could see The Rolling Stones again! My seventh one. Honestly, I can tell you, several chronicles here say they were in a very good shape, but, certainly, this is always nothing but a personal opinion that you always to check it by your own. But, really, I can tell you just what I felt: I saw the Ronnie very good, Charlie rocking as steady as a rock, Keith much better than seven years ago and Mick the very best frontman ever, singing, dancing, speaking in italian and leading the crowd as a master. About the show, I can tell that the sound in the warm night of Rome was clear and loud and I thought for a while that the ancient walls of Colosseum, very near from the Circo, could hardly resist the volume. The highlights of the night, in my opinion, were a very charm Streets of Love, Mick Taylor included, a well celebrated hit for italian fans; a very good version of Respectable with Mayer on stage; Out of Control and Midnight Rumbler, this last one, as always. But I enjoyed very much during You got the silver, I'd never seen Keith so smart and tender and, finally, I would outline Keith's performance on Sympathy. Definitely, I could feel what I wanted, they are the Stones, they are the greatest R&R band. Nothing else to add.